Similar to your home, you need to shield your company property from vandals and potential burglars. Protecting your Walnut Creek, Danville, Concord, San Ramon, CA, or surrounding East Bay Area commercial property is crucial to the success of your investment and your workers. Our certified locksmiths supply numerous products and specialized services to help enhance the security of your business and reduce employee theft. Commercial Staff changes account for much of worker theft and stock loss for companies in the U.S. As workers come and go, they frequently forget to turn in their own keys and don’t have any clue how many copies are made or given out to others when they do. As a company owner, it is critical to have control over who has access to your property at all times. Rekeying your locks should be done promptly to preserve the security of your office or facility. Commercial property owners have similar problems as their tenants go in an out throughout the year. There is no means to understand how many keys are issued by a renter and given out to family and friends. When a property is vacated by a tenant, having a locksmith rekey the locks to prevent entry is essential. This will ensure your property is safe for the next renter. A master key system can be created by a certified locksmith for commercial property owners. This enables each tenant to have his or her own individual key to open the door to the space that is leased. 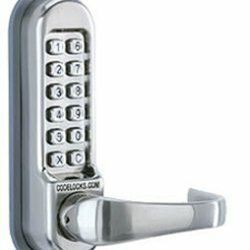 The property manager will subsequently have a master key that enables them to access all locks on the property. This provides the protection the tenants want while still allowing access by the property owner or supervisor. The master key system is frequently used in office and apartment buildings. A locksmith is an extremely skilled person who fixes and installs crash bars and push-pull paddles that in many cases are seen in commercial properties and exit systems. Our locksmiths will also recommend specific services or products that will protect your property and raise the security of your building. Make sure you secure the inside of your office space with locks for desks and cabinets. These kind of security measures may prevent theft from happening during the workday while workers are left unattended.